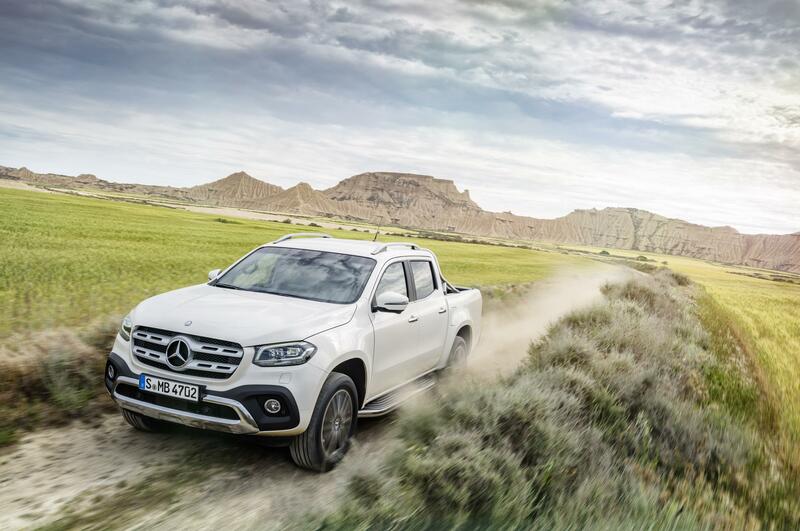 The new Mercedes X Class is a great offering for business and lifestyle buyers alike. While it may be aimed at business owners, the impressive new Mercedes X Class will undoubtedly be a popular ‘lifestyle’ choice for many non-business drivers. The new X Class is available to buy now with deliveries of the £27,310, excluding VAT, starting in January. The model coming to the UK features a double cab and the firm’s selectable 4Matic all-wheel drive system. There’s also a drive selection mode to suit the circumstances. From launch, there will be three engines for the Mercedes X Class available including a turbocharged 2.3 litre diesel unit with four-cylinders, the X220d 4Matic. This engine will produce 163 bhp and there’s the choice of a 2.3 litre diesel unit with a twin stage turbocharger that will produce 190 bhp. The smaller engine is coupled to a six speed manual box while the larger engine is available for all three models with a seven speed automatic transmission. There are three distinctive Mercedes X Class models that will suit different work environments and lifestyles. For those looking for robust use with a pickup, there’s the Pure followed by the Progressive which delivers high levels of comfort and quality. However, the Power model is probably going to be the most popular X Class since this is a pickup designed as a high-end option for those looking but something to suit their urban lifestyle. As potential owners should be expecting, like all Mercedes there’s a lot of active and passive safety equipment with a long list fitted as standard. The pick-up will feature traffic sign assist, lane keeping assist, active brake assist which uses radar for delivering autonomous emergency braking and hill start assist. There’s also a wide selection of air bags available plus a reversing camera. The entry level model offers a comfortable cabin with a semi-automatic air conditioning and 17 inch steel wheels. The Progressive model offers a choice of both engines, aluminium door sills, a load securing rail system with the cabin featuring aluminium trim and black fabric upholstery. The range topping Power model has painted bumpers, fog lights, electrically folding exterior mirrors, keyless go and high-performance LED headlights. There’s also a very good infotainment system available and several option packages to help personalise the Mercedes X Class. This entry was posted in 4X4 Car, New Cars and tagged Mercedes X Class by Steve Lumley. Bookmark the permalink.